Spain is wasting no time. The country plans to dramatically de-carbonize its economy by 2050, and that includes banning a lot of cars, according to a draft law the Ministry for Ecological Transition published Tuesday. The Law on Climate Change and Energy Transition seeks to ban the sale of vehicles that depend on fossil fuels (including hybrids) by 2040, according to a document the ministry sent Gizmodo. Electric cars and their charging stations will take over. Spain also plans to take its electricity production 100 per cent renewable by 2050, which will further help it reduce its greenhouse gas emissions to 90 per cent below 1990 levels by then. Why? To meet the goals set forth by the Paris Agreement and avoid global climate catastrophe, of course. “Our proposal is to reduce Spain’s current greenhouse gas emissions by a third in just a decade, which we consider an international milestone and a sign of our firm commitment to the fight against climate change,” said Spain’s ecological transition minister Teresa Ribera, to Climate Home News. If this draft law goes into force, Spain will end fossil fuel subsidies and the issuing of permits for oil and gas infrastructure both on land and offshore. All existing oil and gas operations must cease by the end of 2040. In their place, Spain wants to install at least 3,000 megawatts of solar and wind energy a year over 10 years. The country also plans to conduct a study to figure out a way to sustainably and equitably wean itself off oil, gas, and coal. Spain’s already planning on re-training programs for workers in these sectors. But it’s not just about industry and cars. Spain is bringing this effort into people’s homes with plans to update its housing stock to be more energy efficient. Between 2021 and 2030, Spain plans to retrofit at least 100,000 homes a year with special attention to homes in “vulnerable groups”, per the text. Beginning in 2025, all new buildings must be “zero energy consumption”. Any building the government leases must also meet this requirement by 2025, or leases won’t renew. Now, none of this is for certain. 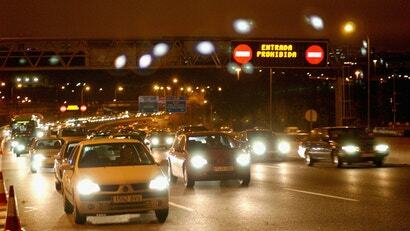 The Spanish Parliament must support the ministry’s proposed law as they work to finalise the text. And the new Socialist Party that took hold with Prime Minister Pedro Sánchez’s election in June, under which this effort is happening, is the minority party in parliament, so this process likely to take a while, according to El País. Plus, the Spanish government requires National Integrated Energy and Climate Plans, which will lay out the proposed energy portfolio, and a Low Emissions Strategy, which assesses the steps necessary to meet these goals, to complement this plan draft law. And some critics don’t think even this plan goes far enough. Regardless, this law is a dramatic step forward in a time when the world is ramping up its oil and gas infrastructure. Maybe if Spain cuts off oil and gas, the rest of the world will fall in line.